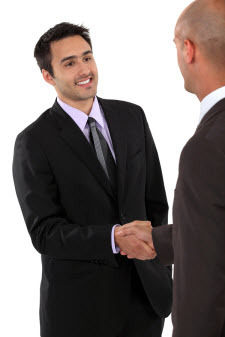 You only have six seconds to make a good first impression. Six seconds. That’s not even enough time to say your elevator speech! Best-selling author and LinkedIn Career Expert, Nicole Williams echoes this fact. What you wear makes a bigger statement about yourself and your chances of doing well at the job before you even start talking. A crumpled shirt, ill-fitting pants, and scuffed shoes all speak volumes about your professional abilities. The dress code varies per industry, creatives and start-ups favor stylish but slightly casual attire, while educational, legal, and financial industries still favor a more conservative dress code. The problem is there’s a fine line between formal and tacky; it’s difficult to thread that line and make sure the recruiters remember you as well. People who work in the same company tend to dress in the same fashion. You can easily see the accepted dress code in a company by observing their employees while they buy their morning coffee. It’s simple, just go to the coffee shop near the office where you plan to work, and then check out the usual work attire of people grabbing their coffee. You can also drive by during lunch hours. Just park near the building then observe what people are wearing when they go out to lunch. Don’t do this on a Friday though, because most companies allow employees to dress down on Fridays. First, don’t wear sunglasses on top of your head unless you want to give the impression of a fashionista always out for an afternoon stroll at the mall. Pick your accessories carefully, and make sure it matches your outfit and the job you are targeting. For instance, pearls work well with classy business suits for women, while classic watches work well for men. For jobs that allow smart-casual or casual work attire, choose one accessory that could be the focal point of your look. It could be a watch, a necklace, or even a bag. I don’t advise wearing chunky rings though, as it can get in the way of a good handshake. Just stay away from multicolored bags and wacky accessories that could make the recruiter think twice about hiring you. Remember, the goal is to look professional, not showstopper weird. As for shoes, closed toe shoes are always the best, even during summer. Now for the obvious but often overlooked advice—wear perfectly fitting clothes. A well-fitting outfit makes you look confident, detail-oriented, and in control. You might think that’s too much of an assumption for wearing a perfectly fitted suit, but studies confirm that a person’s attention to detail at work translates to how he dresses as well.